Nationals of the European Union, as well as citizens of the European Economic Area and Switzerland and their family members, do not need a visa for entry or a long stay permit. For entry, only a valid passport or identity card is required (§ 2 Abs. 5 FreizügG). After entering Germany, you (as well as a German citizen) have to register for residence at the registration office of the city you live in within three months. The obligation to register is regulated differently in the individual federal states and is linked to moving into an apartment or a room in Germany. This also applies if the residence is also maintained abroad. In some cases, the obligation to register may also apply to shorter stays, which is why prior information must be provided on the websites of the municipality in which the apartment is to be occupied. One exception concerns family members of EU and EEA citizens who are not EU, EEA or Swiss citizens themselves: they need a visa to enter Germany in accordance with the provisions applicable to foreigners to whom the Residence Act applies. In Germany, you will then receive a so-called residence card from the Immigration Office (§ 2 Abs. 4 S. 2 FreizügG). Swiss nationals and their family members also enjoy freedom of movement within the EU. However, you must apply for a special (purely declaratory) residence permit Switzerland (§ 28 AufenthV). Which Local Immigration Office is responsible, depends on the future residence in the federal territory. By force of law (§ 71 Abs. 2 residence law) the embassies and consulates general (foreign representations) of the Federal Republic of Germany are responsible for visa issuing. The Federal Foreign Office is not involved in deciding on individual visa applications. The Federal Foreign Office does not have any knowledge of the status of individual cases pending at the diplomatic missions abroad. Locally responsible for issuing visas are the diplomatic missions in whose district the applicant is habitually resident or domiciled. The foreign representation of the Schengen state in whose territory the sole or main destination is located is responsible. As a rule, the diplomatic missions require between two and ten working days to decide on a request for a short-stay visa. An application for a visa entitling to a long-term residence or taking up employment might take several months to process. Waiting periods may occur during the main travel periods until the application can be made to the representative abroad. If a visa is required to enter Germany, the application should therefore be timely. The visa application must be submitted by the applicant in person to the diplomatic mission at his place of residence with all necessary documents. In order to avoid time-consuming additional claims, applicants should inform themselves in good time prior to departure on the website of the competent diplomatic mission about the visa procedure and the documents to be submitted when applying for the visa. Applicants will receive the visa application form free of charge from the respective mission abroad (in the local language version). They must always be presented in the original in the language version used by the diplomatic mission. Application forms can also be downloaded free of charge from the website of the responsible diplomatic mission. Since 5 April 2010, Regulation (EC) No 810/2009 of the European Parliament and of the Council of 13 July 2009 establishing a Community Code on visa (Visa Code) constitutes the European Community law directly applicable in all Schengen States for the granting of Visas for transit through the Schengen area or for short-term stays in the Schengen area for a maximum of 90 days per 180 days. 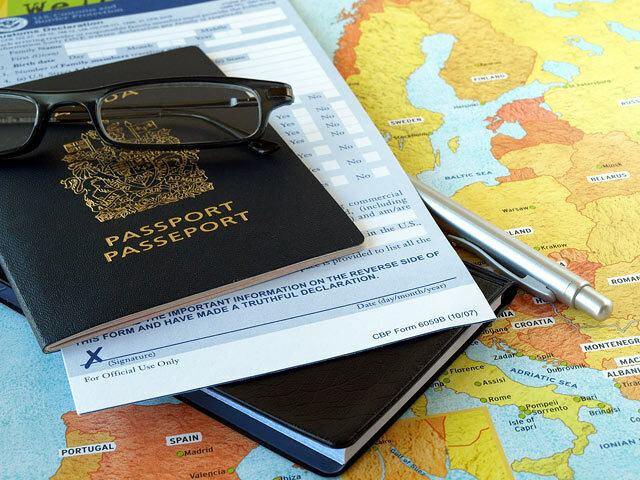 The Visa Code standardizes the visa requirements, the existence of which must be examined by the mission abroad in the context of the visa procedure. The competent foreign representation decides on the visa issuance in the context of a discretionary decision, in which all circumstances of the respective individual case flow. There is no entitlement to a Schengen visa. Presentation of a travel health insurance valid for the entire Schengen area and for the entire length of stay with a minimum coverage of 30,000 euros. If proof of own financing is not possible, the financing can be proven by submitting a formal declaration of commitment pursuant to §§ 66, 68 of the Residence Act by a third person. Responsible for receiving such a declaration is usually the foreigners authority at the place of residence of the obligating party. Persons whose entry into the Schengen area would endanger security or public policy in the Schengen states or who do not fulfill one or more of the above conditions for granting a permit can not obtain a visa. In the case of a refusal of a visa application, the applicant will be informed of the reasons for the refusal. Against the decision of the foreign representation of each claimant the legal recourse is open. For stays of more than three months or stays leading to gainful employment, foreigners are in principle subject to a visa requirement. This does not apply to EU citizens, EEA nationals or Swiss nationals. Citizens of Australia, Israel, Japan, Canada, New Zealand, Korea and the United States of America may also obtain a residence permit after entry. For all other nationals applies: The visa for a longer stay must be requested in principle before entering the country. In principle, it requires the consent of the competent foreigners authority in Germany. Responsible is the foreigners authority of the place where the foreigner will take his residence. If the approval of the Immigration Office is required in the visa procedure, the procedure can take up to three months, sometimes even longer, since other authorities (such as the Federal Employment Agency) are often involved in addition to the Immigration Office. The diplomatic mission may not issue the requested visa until the consent of the foreigners authority has been obtained. Visas that entitle to gainful employment often do not require the approval of the Immigration Office, which leads to an acceleration of the visa procedure in these cases. For immigration law measures and decisions under the residence law for foreigners who are already in Germany, the immigration authorities are responsible. Immigration authorities are not subordinate agencies of the Foreign Office. The Foreign Office can not influence its decisions. Rather, they are subject to the technical supervision of the ministries' interior ministries and senators. Due to Regulation 265/2010, it is now possible to move freely in the Schengen area for up to three months with a national visa ("D visa") and a valid travel document over a period of six months. If you would like to work in Germany, you will find corresponding information on our page Work permit. On 1 August 2017, the EU Directive on students and researchers, (REST Directive, Directive (EU) 2016/801) was implemented into German law. Among other things, the law regulates the residence of internationally mobile researchers from third countries in Germany. The most important change: the granting of a residence permit for the purpose of employment pursuant to § 18 AufentG (in conjunction with § 5 BeschV) is not anymore possible for researchers. In accordance with the new German Residence Act, the following residence permits can be applied: § 19a Blue Card EU, § 20 Research. For doctoral candidates both § 16 Higher education studies and § 20 Research can be applied. The Operating instructions on the implementation of the REST Directive into German law are provided by the German Federal Ministry of the Interior (in German). Persons who fall under the definition of the researcher (see: Directive (EU) 2016/801 Article 3, No.2) may receive a residence permit according to § 20. The residence permit according to §20 is granted in principle for at least 1 year. After completion of the research activity, the residence permit is extended by up to nine months for job search (§ 20 (7) Residence Act). From now on, state or state-recognized universities or predominantly publicly funded research institutions will no longer have to undergo a recognition procedure. These institutions may act as legally recognized research institutions ( § 38a (4a) Residence Act). A list of the recognized research organisations is provided by the BAMF. Research institutions that are not predominantly publicly funded may conclude a hosting agreement / contract with researchers in accordance with § 20 (1) sentence 1 no. 1b. It is also possible for these institutions to carry out the recognition procedure at the BAMF. Research projects can in principle be carried out at any public or private institution. The decisive factor is whether the institution conducts research. For companies working in the field of research and development, among other business areas, it depends on the area of responsibility assigned to the researcher. If the researcher carries out a research project, a residence permit under § 20 Residence Act is possible. The minimum amount for ensuring subsistence, which was previously set for the granting of a residence permit in accordance with § 20 Residence Act, is no longer required. However, research institutions that are not predominantly publicly funded must, however, provide a letter confirming that they will cover the cost of subsistence and possible deportation of the concerned researcher for up to six months after termination of the hosting agreement or contract (section 20 (1) sentence 1 no. 2). In cases of short-term mobility of researchers who already have a residence permit issued by another EU Member State for research purposes under the terms of Directive (EU) 2016/801, no German residence permit is required. This applies to stays of up to 180 days within a 360-day period. According to § 20a Residence Act only a notification procedure is required, which is carried out by the BAMF. When the researcher already holds a residence permit for research purposes issued by another EU Member State within the scope of Directive (EU) 2016/801 and wants to conduct a part of his or her research project in Germany for more than 180 years days and up to a maximum of one year, a residence permit under § 20b Residence Act can be isued. The application for the residence permit in accordance with § 20b Residence Act can not only be filed with the local Immigration Office, but also with the BAMF. For the granting of a residence permit in accordance with § 20b Residence Act, it is necessary that the researcher concludes a hosting agreement or a corresponding contract with the receiving research institution in Germany. For spouses and under-age unmarried children of researchers (§ 20) and long-term mobile researchers (§ 20b), the general rules of family reunification according to §§ 27, 30 and 32 apply, in particular the issue of a residence permit is foreseen. These family members are also allowed to work in Germany. However, family members of short-term mobile researchers do not receive a German residence permit - the relevant document is the residence permit of the other Member State (§§ 30 (5), 32 (5)). A gainful employment is not allowed for them. ‘Research’ means creative work undertaken on a systematic basis in order to increase the stock of knowledge, including knowledge of man, culture and society, and the use of this stock of knowledge to devise new applications (cf. Article 3 (9) of Directive (EU) 2016/801). Research in this sense involves basic research aimed at gaining fundamentally new scientific knowledge, without focusing on a particular application or use, applied research in which innovative work is carried out to acquire new knowledge, but primarily to a specific practical goal as well as experimental outcomes, a systematic work based on knowledge from research and practical experience, and generating additional knowledge aimed at the production of new products or processes or the improvement of existing products or processes. ‘Researcher’ means a third-country national who holds a doctoral degree or an appropriate higher education qualification which gives that third-country national access to doctoral programmes, who is selected by a research organisation and admitted to the territory of a Member State for carrying out a research activity for which such qualification is normally required (Directive (EU) 2016/801, Article 3, No. 2). The treatment of doctoral students has remained unchanged compared to the previous legal situation: If the research activity is part of a doctoral program, § 16 and not § 20 applies. If the doctoral researcher conducts his research as part of a doctoral program of higher education, the reason for the exclusion under § 20 paragraph 6 No. 4 is given. Doctoral candidates fall within the scope of § 20 only in cases in which the research is not carried out exclusively for the purpose of writing a dissertation. This would be the case, for example, if the dissertation is written under an employment contract. This residence permit is addressed to qualified foreign professionals. Prerequisite for the issuing of the Blue Card EU is a university degree and an employment relationship with a gross annual salary of 52,000 euros or 40,560 euros (as of January 2018) for highly skilled workers in certain shortage occupations (including natural scientists, mathematicians, engineers, academic and comparable professionals of the information and Communication technology and doctors). After 33 months, Blue Card EU holders can obtain a settlement permit if the employment relationship persists. If a proof of German language skills at level B1 can be provided, the settlement permit can be issued after 21 months. Holders of an Blue Card EU or a residence permit issued by another Member State of the European Union on the basis of Directive 2009/50 / EC are excluded from the scope of § 20 (§ 20 (6) (8)). If a third-country national already has a Blue Card EU, a change to the residence permit according to § 20 is no longer possible. However, when a residence permit is issued for the first time, the researcher has the right to choose (Blue Card EU or residence permit according to § 20). The Blue Card EU offers, for example, the faster possibility of obtaining a settlement permit; the advantage of a residence permit under § 20 is, however, the possibility of mobility (especially with regard to short-term mobility) and the possibility to obtain a residence permit for job search purposes after the completion of the research project (Cf. : 2.0.2.1.3 of the Operating instructions on the implementation of the REST Directive into German law are provided by the German Federal Ministry of the Interior (in German). Further information on the Blue Card EU is available from the BAMF. The regulation of immigration of "highly qualified foreigners" has not changed either. "Highly qualified" are "scientists with special expertise, teachers and scientific staff in a prominent position". They are allowed to immigrate if they have a job offer and can immediately get a permanent residence permit. This automatically entitles them to take up gainful employment. Spouses usually receive the same residence permit. The German Rectors' Conference (Hochschulrektorenkonferenz - HRK) has preparad a detailed overview of the various residence permits for researchers from non-EU countries, which should help foreign researchers, as well as inviting and advisory bodies at German universities and research institutions, to choose the right residence permit. The current version of the leaflet takes into account the changes that came into effect on 1 August 2017 in Germany.